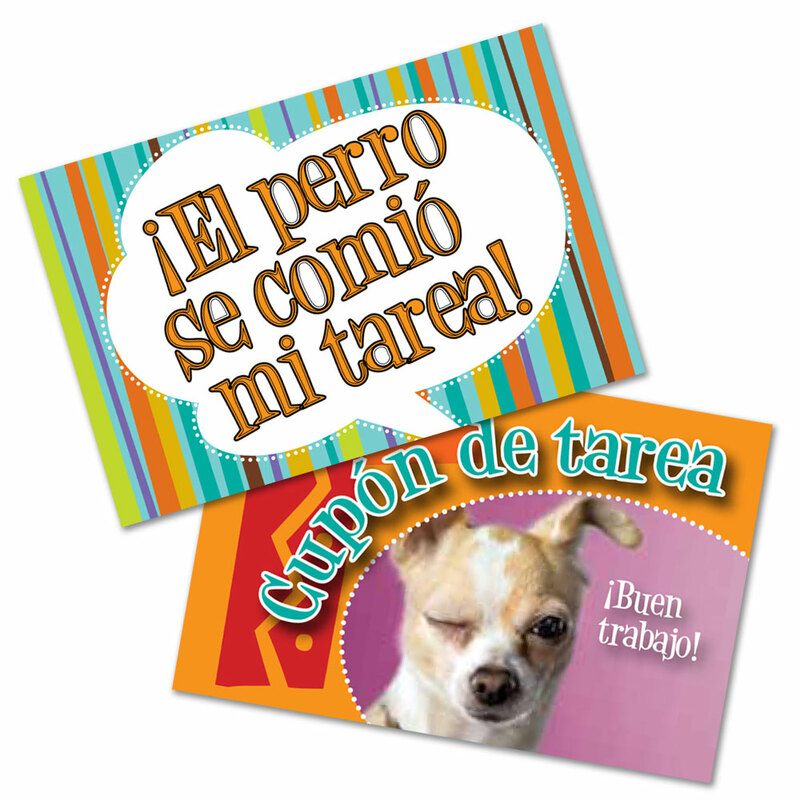 Fun Spanish Homework Coupons Are Great Rewards! Your students will love you for handing these out. Hand them out to a select few kids who really deserve it! Let them cash it in on that day they forgot to do their homework or really didn't feel like doing it. The dog really didn't eat their homework, but now they have a GOOD reason for not having it to turn in. Coupons come in a pad of 100. 3 x 2 inches, full color. Double sided. ©2013. Middle and high school. 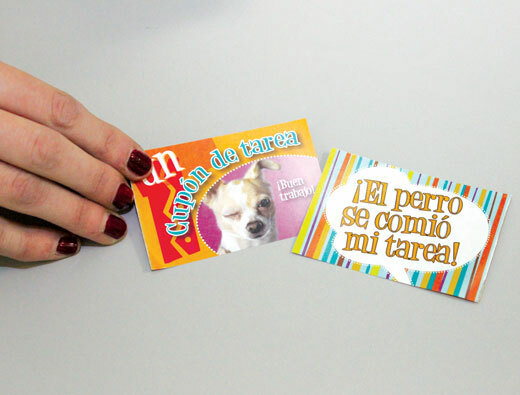 Each individual pad contains 100 coupons. Homework coupons are great! The students love to earn them and to 'spend' them. Wonderful idea!